← Thanks-GRAN-iving and Things We’re Loving! Combining two blog posts into one this week. Last weekend was a bit uneventful and this weekend was chock full of things. I think I am going to start writing more about advice or other things I find that might be helpful for other dog parents, but for now indulge me on Tucker’s weekend. 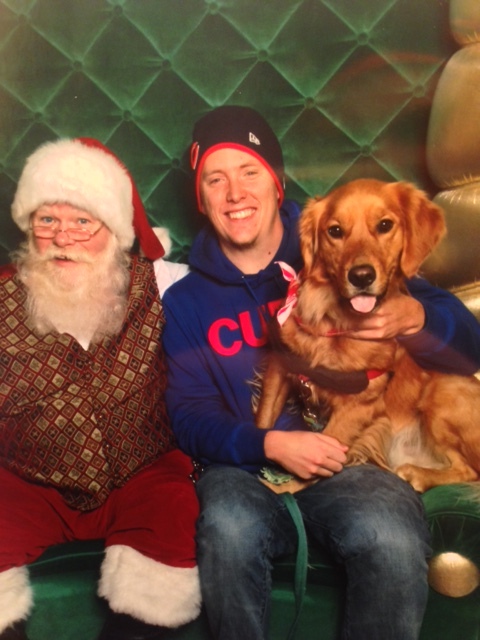 In terms of last weekend, the one thing we did get done was get a photo of Tucker with Santa. You would think as a golden retriever who LOVES everyone this wouldn’t be hard, but guess again friends. 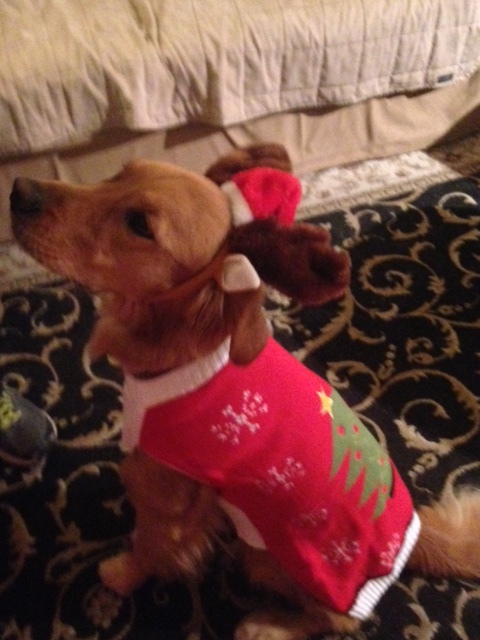 Tucker strongly dislikes Santa. We went to Petco and he ran out as soon as we got close. No chance for a photo. So then, I did what every crazy dog mom does: dug my heels in because we got a photo last year and I’ll be damned if we don’t get one this year. 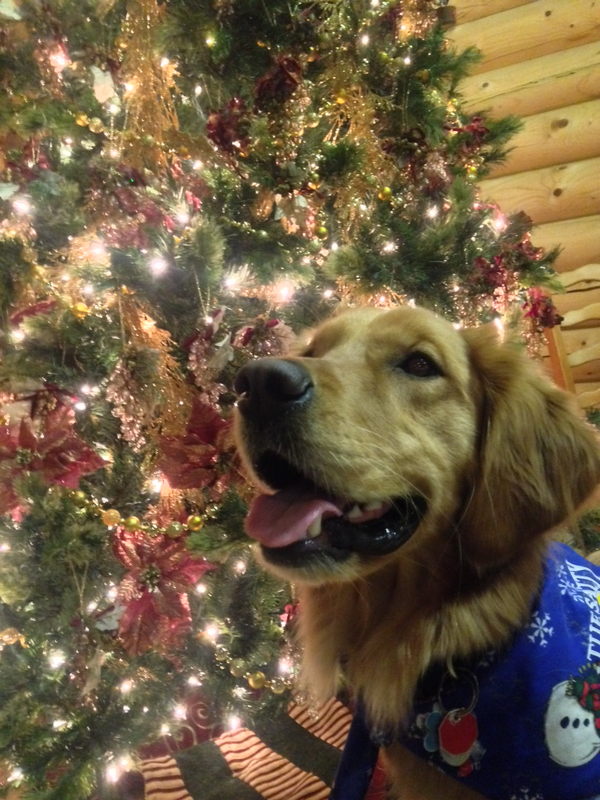 Last Sunday night, the mall was hosting their pet photos with Santa. 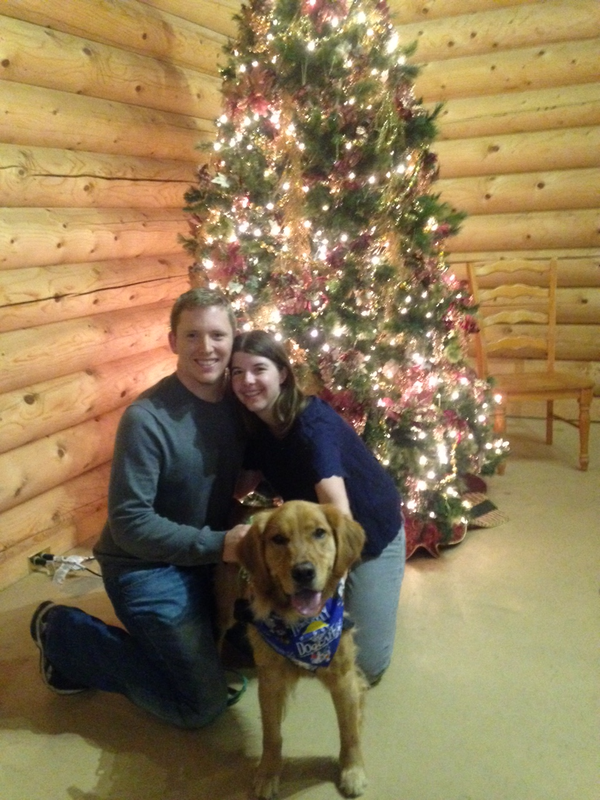 We went, he was a little scared but this time there was room for us to sit so Jason sat next to Santa while Tucker stayed on his other side and we got the photo. Success. Sorry if I scarred you Tucker but a crazy dog mom has to do what a crazy dog mom has to do.. Being Christmas season, we have a list of things we want to accomplish- which movies to watch, cookies to decorate, photos to take and things to do. On Saturday, after Jason and I laid wreathes at Arlington National Cemetery as part of Wreathes Across Arlington, we packed Tucker up and went out to Leesburg to go to two of the wineries we like and take some Christmas photos. We enjoyed the unseasonable warm weather and sat outside for the afternoon, only getting a few photos inside of their festive decorations. Tucker loves going to the wineries and meeting people and we feel its important to take him out and continue his socialization. On Sunday morning, we packed up again and went into DC to get our family photo at the Christmas tree and walk around the monuments with Tucker. He loves going down there but refuses to go potty in DC. I’m not sure if he’s doing out of respect or because he prefers Virginia grass more. Another unseasonably warm day led us to the park later and a well deserved nap. Pups jump into a ball pit (courtesy of Barkpost): Because who doesn’t love to see golden retriever puppies and their goofs? Puppies and IVF: Science is incredible, why not have puppies help with breakthroughs? Stay tuned later this week for my gift guide for your favorite pup!